The new Port Stephens lifestyle community, Latitude One by Ingenia Lifestyle, welcomed Mayor Ryan Palmer and local member Kate Washington MP, who joined Ingenia CEO Simon Owen, to officially open the brand new display village on Saturday 21 July. The gold-class community by Ingenia Lifestyle’s new Star Collection – the first of its kind for Ingenia – has had strong sales and enquiries since it launched, with more than 80 homes sold and its first residents moving in. The display village opening saw more than 250 guests tour the six new display homes and experience Latitude One’s luxury lifestyle living for over 55s set within Anna Bay. 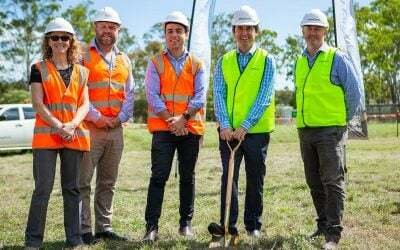 Port Stephens Mayor Ryan Palmer, who opened the village with an official ribbon-cutting ceremony, said while land leasing isn’t new to Port Stephens, it certainly had become a popular option for residents looking for flexibility, community and a relaxed lifestyle. “Port Stephens is a popular region for retirees and, as a council, we’re working hard to ensure sustainable and balanced growth in this area,” Mr Palmer said. 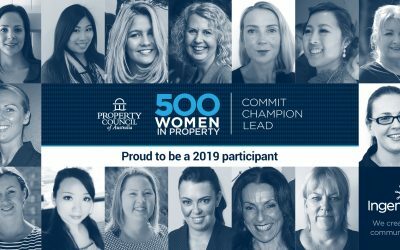 “I don’t think anything can beat the way of life we have here – the natural beauty of beaches and bushland all around us, plus the convenience of being close to shops, services, and the airport, it really is the perfect place. Ingenia CEO Simon Owen said he was excited to open the new range of display homes and see the community come to life in the picturesque Anna Bay region. “We are pleased to be building our presence in the region, with Latitude One joining our Soldiers Point and One Mile Beach Holiday parks in the area,” Mr Owen said. 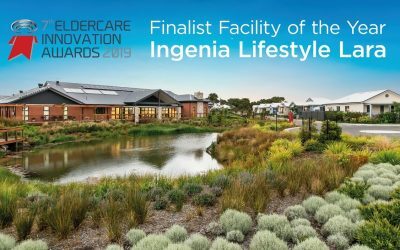 First residents, Kenneth and Janette Scott, were thrilled when they learnt about Ingenia Lifestyle Latitude One, saying it gave them that rare ‘wow factor’ they were hoping for. “We hadn’t found one that grabbed us until we came across Ingenia Lifestyle Latitude One – it had the instant wow factor,” Ms Scott said. “None of the other communities we had seen even came close to Latitude One – they have certainly raised the bar. “Our home is perfect for us, we did downsize but it doesn’t feel like we had to sacrifice anything to do so – it’s so well designed, it has three bedrooms and even has an open plan living area, which is my favourite part. “My husband and I have seen the plans for the new clubhouse too and can’t wait to enjoy all the activities that will be on offer – we love being social and getting to know everyone.” she said. The centrepiece of Latitude One will be a multimillion dollar clubhouse and resort-style facilities including a cinema, library, sports bar and bowling green. A wellness centre with a heated pool, gym and consulting rooms for visiting medical practitioners will also be available for residents.